Rossio train- and metro station (Estação do Rossio) is incredibly unique, located between Rossio and Restauradores in Lisbon. Formerly known as Central Station (Estação Central), and that designation still appears in its façade. The beautiful neo-manueline architecture was designed by architect José Luís Monteiro, completed in 1887. The Neo-Manueline façade dominates the northwest side of the square and is a Romantic recreation of the exuberant Manueline style, typical of early 16th century in Portugal. Its most interesting features are the two intertwined horseshoe portals at the entrance, the watch in a small turret and the abundant sculptural decoration. 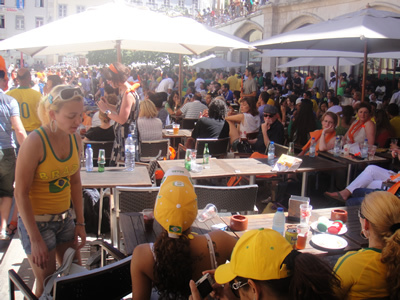 Near the station you can have a drink at Largo do Duque de Cadaval, which is a really nice square full of open-air cafés. Inside the station, the platform is connected by ramps to the façade level and is covered by a cast-iron structure. 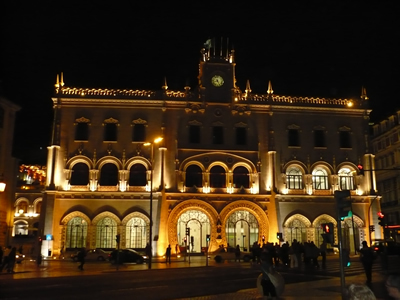 The station is an important example of Romantic (façade) and Cast-iron (platform cover) architecture in Portugal. 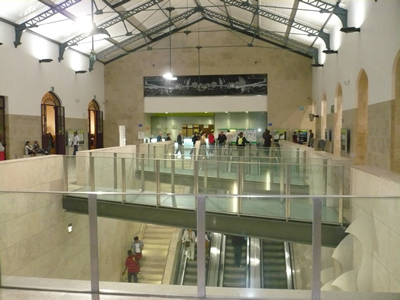 Downstairs is Rossio’s metro station (green line). Metropolitano de Lisboa, Lisbon Metro official page (also in English), you’ll find a map with a network diagram and explanation of the metro lines. 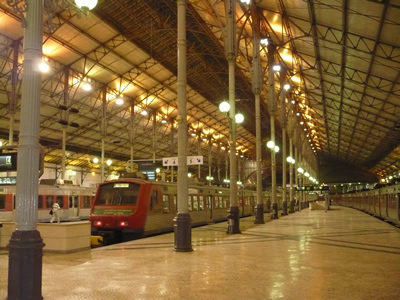 The wonderful Rossio train- and metro station is a must see if you visit Lisbon. 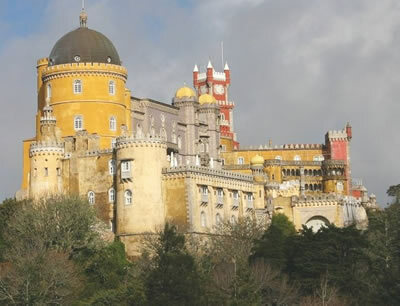 If you like to visit Sintra, the famous World Heritage town and the Pena National Palace just outside Lisbon or the National Palace in Queluz, you can take the train here for a cheap price. 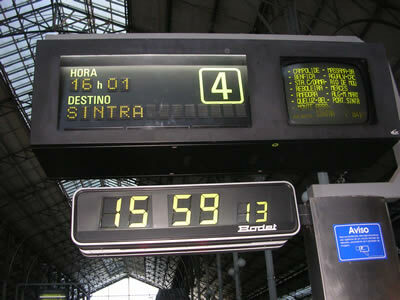 Trains to Sintra (and vice versa) leave every 15 minutes, a 45 minute trip. The access of trains to the Rossio station is made by a tunnel more than 2600 m long. This tunnel was escavated under the city and is considered one of the most important works of engineering of Portugal in the XIX century. Besides: if you prefer to go by car to visit Sintra, the IC19 superhighway takes you directly from the city and it comes to an end at Sintra . 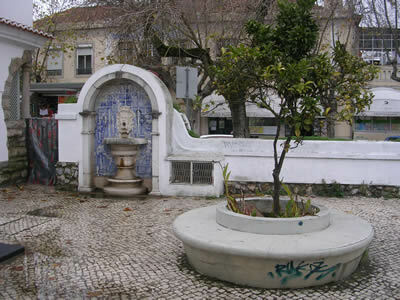 Parking is possible, 10 minutes walk from the center of Sintra. Useful information about tickets and buses in Sintra . 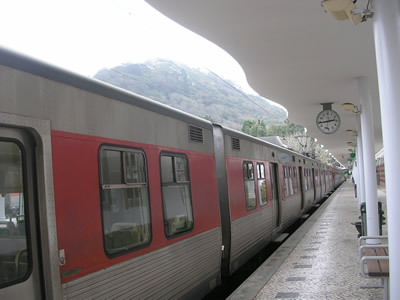 A one-day ticket (around 7 Euro) can be bought at Sintra station and will allow you to get on and off at all the main attractions, like f.i. 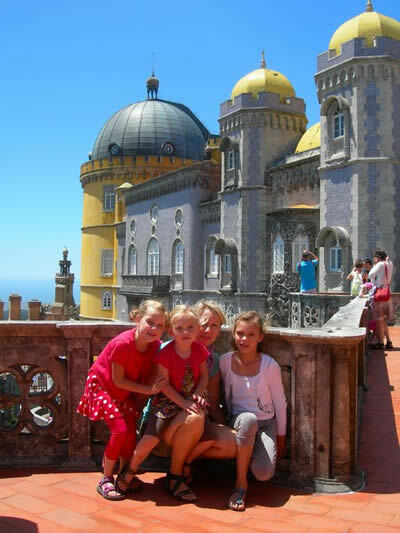 Pena Palace and The Moorish Castle. 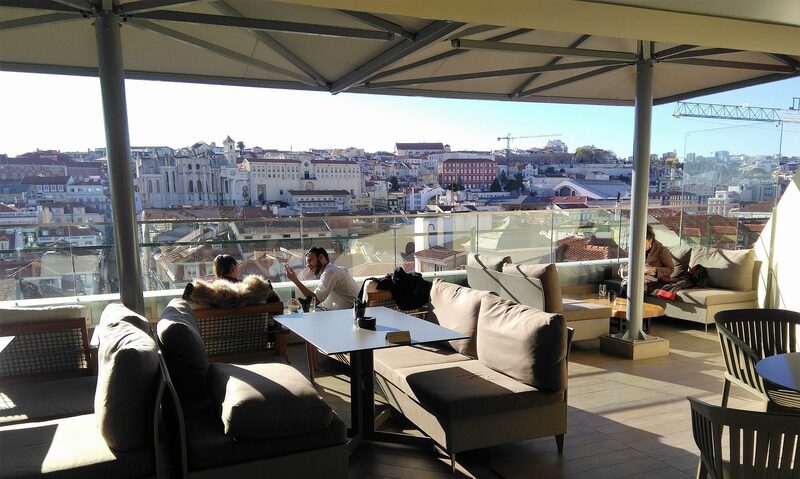 I love Lisboa! Be sure to go to the Belem area and have their renowned treat!